Daryl Johnson (Worcester Park, United Kingdom) on 12 September 2009 in Architecture. 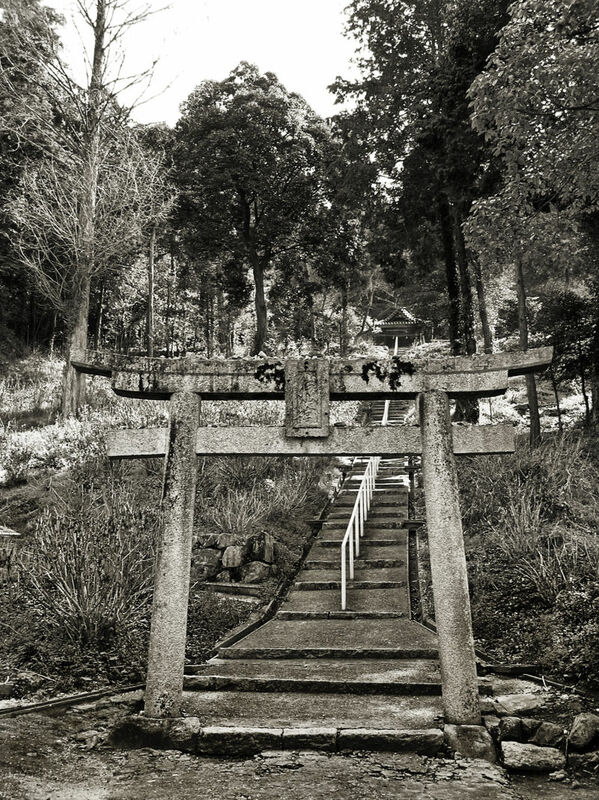 Reads as a powerful significance, the torii . . I see there is a way around it but who would choose ? Love that torii. This is one amazing shrine. @Steve Rice: It was a beautiful place, well worth a visit if you're ever down Okayama way! Makes me think of Kill Bill 2. @Twelvebit: I know what you mean. I guess it's a classic 'Japanese' bit of scenery.